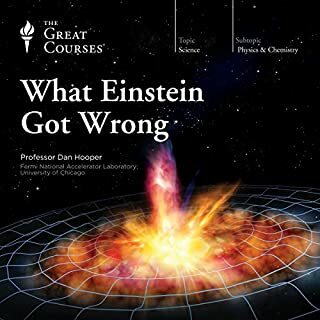 Dan Hooper's love for Science shows through in his own delivery of these courses! His respect for the historical significance of the great thinkers of the past is also obvious even though parts of the course is about their mistakes. OMG!!! 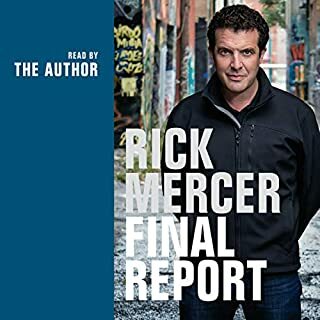 Rick Mercer is hilarious!! I've seen Rick on TV a few times, but my life is just too busy to watch television on a regular basis. 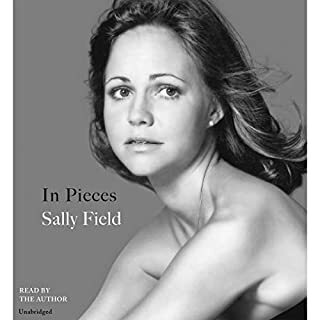 After listening to this audio book, I sorta regret missing all of his shows. He doesn't hold back on his comments at all. But he makes you laugh too, which actually helps you remember the point too! And ...yes people‌, signal before you get into the left-hand turning lane!!!! Putting your signal on as your actually in the middle of making the turn is just a waste of time!!!! And share the road, Please!!! 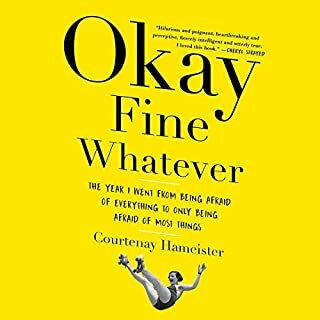 other than a little too much swearing, this book is a great look at oneself and helps to make it easier to forgive yourself for your mistakes that you will obviously make. Thank you Courtenay for such a hilarious story about our weaknesses and giving us the courage to be patient while trying to correct them. Written by: Dale Earnhardt Jr. When NASCAR star Dale Earnhardt, Jr., retired from professional stock car racing in 2017, he walked away from his career as a healthy man. But for years, he had worried that the worsening effects of multiple racing-related concussions would end not only his time on the track but his ability to live a full and happy life. Torn between a race-at-all-costs culture and the fear that something was terribly wrong, Earnhardt tried to pretend everything was fine, but the private notes about his escalating symptoms that he kept on his phone reveal a vicious cycle. Thank you Dale for your honesty!! When I was 8 years old I was going down a hill on my bicycle. Part way down, going quite fast, I fell off my bike and ended up in the middle of the road unconscious. I was brought to the hospital where I had digressed to a coma. I came out of the coma later that day, but I didn't realize it for three days. I'm is my sixties now and still have never ending ringing in my ears. 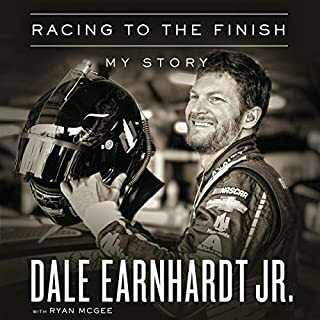 Having always been a Dale Earnhardt Jr fan and then listening to Dale's book about his experience and why he shared it makes me respect him a thousand times more deeply. 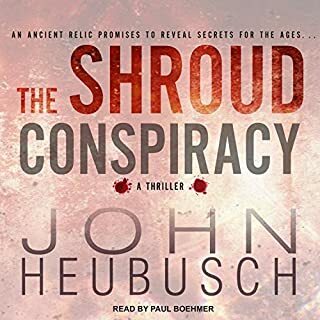 This book is a wonderful follow-up to The Shroud Conspiracy, but my review is about the narration. 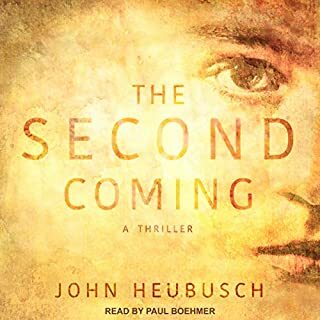 Paul Boehner's narration of the book is incredible!!. Just the slightest accent change in his voice changes character so perfectly. From women to man, from American to Italian. Very enjoyable to listen to! it kept me wondering.... what's next, what else could happen!!!! Paul Boehner reading of it is the best too. You knew what character, male or female just the way he said it. So much feelings were felt in the way he read it. it's ending is superb too. Hopefully there is a sequel. I love her music...its digs deep into your soul when listening to it. 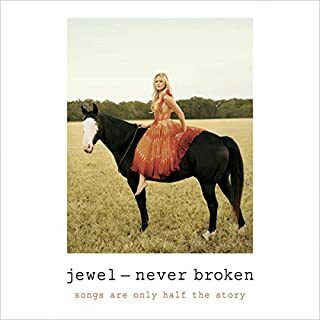 Listening to this book, narrated by Jewel, was a wonderful experience, especially when she sings several times throughout the book. I could imagine some of the hardships she must have gone through, especially with her mother betraying her the way she did. The only problem I found with the book is she writes it as if her experiences and the way she works through them are the perfect answer for everyone. I did truly enjoy the book but just got a little frustrated with the length of time she spends on each occurrence. It comes across as a self-help book.